We are committed to giving you the prompt, friendly, propane delivery service you deserve. 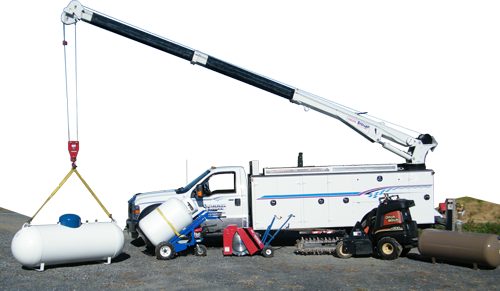 We offer a variety of tanks to fit your needs. We also have the equipment and expertise to place your tank and to run underground and in-house propane lines wherever you need. Call today to talk with one of our qualified staff for more information! From comfort, to clean clothing, to running your farm equipment; you do not want any of your equipment to grind to a halt when you need it most. We understand that. This is why you can depend upon Mountain View Fuel to keep your home, farm or business supplied with high quality, clean burning fuel that keeps your equipment running smoothly at all times. Countryside Propane is a local, family owned business. Since 2001, our attention to detail and prompt, friendly service has allowed us the privilege of serving Lebanon Country and the surrounding area. We are competitively priced and well educated in the latest propane related laws and regulations.